Can I begin analysis while my run data is importing? Yes. There’s no need to sit around waiting for data import to complete in Progenesis before you can start the process of alignment; as soon as you’ve selected all the files for import, you can choose for your data to be automatically aligned once it’s finished importing, leaving you free to use your time doing something else. Start an experiment in Progenesis QI as you would normally, selecting the appropriate adducts and polarity. Select your files for import. 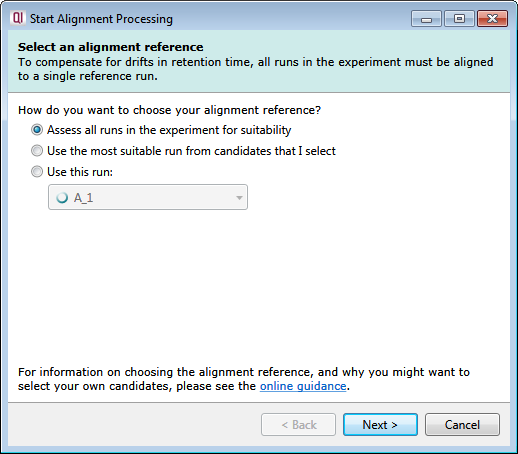 You’ll need to select a method of choosing an alignment reference run – once you’ve done this, click Next. You can now walk away and leave the software to complete import and alignment. 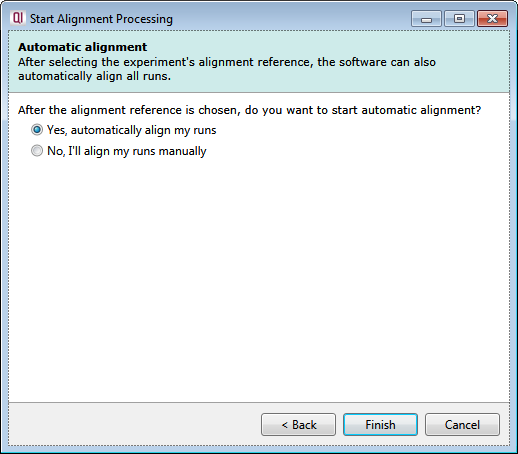 Note: if you manually select a run to use as an alignment reference and this run fails to import, Progenesis won’t be able to start alignment. If you want to choose this method, it’s best to fully import the desired reference run first to ensure there are no problems.